The Universalists in this place are building a meetinghouse, 40 X 60 feet. It will be ready to dedicate in two or three months. Our cause is reprented as being remarkably prosperous in Lynchburg. As for societies, I know of only tow-- one in Louisville and the other in Warsaw. Probably the other Societies and Preachers are in the Southern portion of the State. I have just seen a letter from Wm Bates, Esq. P. M. at Wilkes Creek, Butler Co., Ky to Br. Chapin, of this City, in which the names of two young men are given as having recently commenced preaching the "Gospel of Salvation": with good success - John S. Phelps and R. J. L. Phelps. Br. Pingree's Residence in Louisville - Is on the west side of Brook Street between Main and Market, 1st brick house North of Market. He may be found by inquiry at Gad Chapin's store, corner of 8th and Market, or at Asa Wood's Shoe Store, on Main a few door below Fourth. The above directions are given here, so that my friends in the neighborhood, and those passing up or down the River, and calling at Louisville, may ready find me; as I shall be well pleased to see the faces of my old acquaintances who may happen to be this way. Louisville, April 3 E. M. P.
For the Information of our friends in Louisville and vicinity, as well as those visiting the City, from the South and West, I would say that most of the Universalist publications may be purchased at Br. G. Chapin's store, on the N. W. Corner of 8th and Market Sts. (titles of books deleted by poster). The Convention in Warsaw, Ky - In the call for a Convention to meet in Warsaw, on the 11th of May, nothing was said about the number of delegates to be chosen by each Society. As each society sends (lines torn) Associations, generally, it is well and proper to send that number in this case. .... but there is always next year. The Hope of a better day is good. Readers of my other blog know that I've spent December (after work) acting as my mother's health care power of attorney, and making medical decisions for her. Not very Christmasy in one way. However in the mailbox Christmas Eve, I go the current issue of GOOD NEWS, the Unitarian Universalist Christian Fellowship newsletter; the current issue of the UNIVERSALIST HERALD; a copy of the 1913 printing of the 1903 GLORIA PATRI REVISIED, a devotional manual for public Universalist worship; and three years of the weekly STAR IN THE WEST from the mid1840s. This Ohio - Indiana paper usually had some southern Universalist news, and I'll be posting the news as I run across it. So wonderful Christmas presents for myself - and what better way to enjoy presents than sharing? "Dearly beloved brethren, we have assembled as the disciples of him who came into this world as a little child and thus brought joy and gladness into every home, to lift up the voice of joy and praise, and to recommend ourselves and all our concerns to the care of our heavenly Father. Draw near to God and he will draw near to you. Put your trust in him and you shall not be disappointed. And pray you, as many as are here present, to accompany me with a pure heart and humble voice unto the throne of heavenly Grace." (prayer) "O God, whose blessed Son was manifested that he might save his people from their sins, and show them to be the sons of God, and heirs of immortal life, grant, we beseech thee, that, having this hope, we may purify ourselves, even as he is pure; give us grace that we may cast away the works of darkness, and put on the armor of light, and grant that, at the last, we may rise to the life immortal, according to thy promise through him who liveth and reigneth with thee world without end. Amen." If you noticed in my previous post on Augustus C. Bowers, that while I mentioned his ownership of a Manford debate book and his pasting of Manford's monthly pages in that book, I carefully didnt mention if he was an Universalist - frankly because I wasnt sure. Owning a book doesnt make one an Universalist. Now I am sure. Not only was he an Universalist, he was an Ordained Universalist Minister! ordained in 1892, in the minister's listing from 1892-1908+ subscriber to Manford's Monthly in 1899. As far as I know, he didnt do any preaching other than missionary work - no Universalist church at Johnson City, Boone Creek, Grey, et al at that time. No kin to Rev. J.M. Bowers of Canon Georgia - and publisher of the Universalist Herald. The formal name of the Universalist Church in Gratis Georgia was "Consolation church". The Universalist Register says the church was built in 1886 (and organized in 1887), made of wood and costing $500. That would make it the same age and likely construction as many other southern Universalist Churches. The church was gone by the great depression, but still active as of 1902. I have no source of data from the 1900s to the early 1930s. Ellen Adams was the clerk of the Church in 1902. I'm not 100% sure where that church was in Gratis. Next to the Adams Family Cemetery? Gratis in the 1890s was the home of two Universalist ministers. James Harrell Park (1829-1903) ordained to the Universalist ministry in 1860. Missionary Baptist minister up to that time. Called by some "the Love Minister" -back when that would be a band of honor. Not sure when he moved to Gratis, seems to be in the late 1880s. He is no known kin to Martha Ellen Adams Parks. T. H. Gunter, I admit to knowing nothing about, other than he was in Gratis in the 1890s. Ellen Adams lived to 1941, and is buried beside her husband in the Adams Family cemetery. That debate book I mentioned on the previous post was originally owned by Augustus (A.C.) Bowers of Boone Creek, Washington County, E. Tennessee. He dated the book March 14, but neglected to put the year. It's an 1875 edition, so it was after that time, and published by Universalist minister E. Manford. Copies of Manford's Magazine from 1882 -1887 are glued in his book. A. C. Bowers (1847 - 1921) was born in Boone Creek, which is now a suburb of Johnson City.He was a member of the Union Army during the War Between The States, serving (if I read this right) as part of Stoneman's Calvary. In 1879 he was a internal revenue collector and in 1890 was a census taker. The Johnson City area was the home to Dr. William Hale, who was ordained in 1877, and founded a Universalist church in "Free Hill" in 1880. I'm not sure how long the church lasted, up to the 20th century, I believe. Universalist was also believed in that area by some in the Church of the Brethren and there is a Primitive Baptist Universalist Church in the area. I have a copy of "A Discussion on Universal Salvation and Endless Punishment" (1875 edition) between Universalist Rev. E. Manford and Disciples Rev. J. S. Sweeney. My copy was owned by a southerner who had glued in various pages from Manford's Monthly. An article about a later debate (1882) between Manford and Sweeney, and an 1887 article about a debate with Rev Thomas Abbott and JR. Now I won't name JR because his grandchildren might still be alive, he had children still alive 30 years ago. The last line of the article ( actually a debate summary) is thus "(JR) made no reply here, but referred to the vengeance of God, and said it was an attribute of God, which (Abott) could not meet. "Vengeance is Mine and I will repay." "Nix" is written by the books original owner next to that. "I know that the law of retaliation belongs to God; but how cruel vengeance can be an attribute, I can't see. (JR) is the man THAT married (VK) and left her and took up with another woman." JR was born in in 1846 in Tennessee, he married (LK - the V could be a nickname for L)in Feb 1868, when he was 21 and she was 26. They moved to Illinois with her brother a Baptist minister. JR went to college to become a minister, and then got a pulpit in Mississippi. His last child with LK was born in 1871 in Illinois. In 1872 he married ST (who was 10 years younger than LK)in Mississippi. JR and ST moved to various states until they made it to Arkansas, where the debate with Rev Abbott was held in 1887. (I could not find a death date for JR). The previous owner of my book was living in the area where LKs grandparents and cousins lived - I have no proof of his statement, but the facts fit. Are there morals to this story? Sure, one could be that even with scant clues, someone could find your flaws from 135 years ago. Since JR keep his side out of his official biography, we'd dont know his reasons. LK could have been a horrible person, well worth getting rid of, and the family themselves were upset to get her back. - but another moral is, that we look at flaws - your sins, as basic ones: you dont make promises that you cant keep, if you are in the ministry or public service, you must be better than normal. It's a cold cruel world (but lots of fun for those of us who like to research - because even your sins will out). All we know about this photograph is that it is an Universalist Church, probably in Georgia. - the design makes identification harder, as this was a popular style for rural Universalist southern Churches. It is NOT the Saluda SC church, nor does it appear to be Woodington NC. It doesnt seem to be Liberty in Mississippi (all of those churches have this design). Do you know what church this is? There is a brief mention from cloister documents about universalism and George de Benneville is mentioned. There is plenty about mysticism and even pages about alchemy. Looks good. he defines these as "Mixed Congregations of Seventh-Day and First Day Dunkers and English and German Sabbatarians"). He doesnt mention his reference for this, but it's slightly possible it's the Brethren Encyclopedia, Volume 3 (1984) which lists those four congregations -although the BE had Edisto spelled the usual way. The BE map was titled "the Colonial Brethren Congregations and Settlements 1719-1770". for those of you confused - these Churches above were the founding blocks of the churches later affliated with the "Universalist Church of America". The Ephrata Cloisters was a German Pietist settlement near what is now Lancaster Pa in the mid 1700s. It consisted mainly of folks formerly associated with what we now called the Church of the Brethren. It is believed by some that David Martin, founder of those SC churches above, was the son of George Adam Martin. G. A. Martin was hand picked by the founder to be the leader of Ephrata, and GA Martin was a leader at Snow Hill. Thus the importance to Universalist history. is apparently celebrating it's 275 anniversary this weekend. 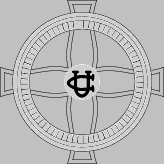 This group, a spin off of the German Fraternity of Baptists (German Baptist Brethren, Church of the Brethren) had a cloister or commune in early Pennsylvania. Yes, they did believe in universalism, and yes, former residents moved to the South and Midwest. And yes, some of those former Ephrata members and their descendants founded Universalist Churches. George Adam Martin was even known to preach in the New Jersey coast - prior to 1770. Oct. 13, to mark its 275th anniversary. Discover Ephrata’s musical heritage with a special program that combines a first-person style tour with music performed by members of the Ephrata Cloister Chorus in several locations on the historic site. This special anniversary event will be offered by candlelight on Saturday evening in addition to Sunday. Tours are limited in size and advance registration is strongly suggested. Admission charged. I was reading Volume 3 of Patrick O'Kelly's four volume "NOTHING BUT BLOOD AND SLAUGHTER The Revolutionary War in the Carolinas (2005); when I came accross a mention of the Cloud Creek Massacre. I knew of the massacre, but it hadn't occured to me how late this was. This was a month after the surrender of Cornwallis at Yorktown, and two months after the battle of Eutaw Springs, SC (with General Greene losing the battle but winning the victor as usual). the western side of Lake Murray. Easiest to say that Cloud's Creek is between the town of Saluda and Batesburg-Leesville in SC. David Martin was an universalist restoration minister of the German Baptist Brethren, and did circuit preaching from his home near Newberry. Towsend's history is the source of most of the below non-war information. among those recieving were Snowden and Sybil Kirkland. Kirkland until recently had been with a group of 7th Day Baptists on the Savannah River. 1770 James Warden has two hundred acres on Cloud's Creek. 1772 the Cloud's Creek church has 42 baptized members and -in 30 families. Members included James Warren (leader of the church) and Snowden Kirkland. All were English ethnic background. Cloud's Creek celebrated both Saturday and Sunday as days of worship. 1780 Martin was known to be preaching universal restoration. November 1781 Cloud's Creek Massacre - at Carter's house (log cabin) on Cloud's Creek. After the surrender of Captain Turner's remaining militia to Major Cunningham, Cunningham had them killed. 1790 a Cloud's Creek Baptist Church exists. It does not seem to be the same as the 1770s church. Although the minister there may have some very mild connections with the 1820s Universalist Convention of SC. 1803 original Warren and Padgett landgrants sold to others. Kirkland witness. 1804 death of Snowden Kirkland at Cloud's Creek. Kirkland's grandson called the father's family 7th Day Baptists in his declaration in 1847. Three of Kirkland's sons were Tories. One of his great great grandsons married into the Dennis-Lester family that was associated with the Dunkers-Universalists of Newberry. I have conflicting reports as to Snowden being the brother of Moses Kirkland, an infamous in SC Loyalists. We know little about Cloud's Creek - the question that I've wondered in putting this timeline together, is does the war and the massacres (of which Cloud's Creek is just one local one from just one side) affect David Martin and his universalist views? I found some TarHeel Universalists in a library in North Carolina this past weekend (for those of you not from around here: Tar heel is a nickname for North Carolinians). this was a fair run of most issues from 1947 to 1955. Since this was an unexpected bonanza, I wasnt prepared with tons of dimes to make copies - but I did skim and make some notes. - and I know three of the UYF (I assume this is Universalist Youth Fellowship) officers in the early 1950s. Still active in UU over 50 years later. good for them! I last wrote about the Charleston Universalists in January 2007.
since then, I now have the Charleston Universalists still around in 1860 (looking to hire a new minister). This is close enough, that we can basically say that the Church lasted until the war. As for the No Hell cemetery - I have a possible cite of a "Elizabeth Roberts" who died on September 12, 1838 and buried in September 13, 1838 in the "Universalist Yard". that would suggest on the lot on what was Anson and Laurens. I have no idea if they were removed after the war, or remain there. Anybody here with a good source of Charleston cemetery books? Rev John Gregory (1810-1881) was minister and editor of the "Southern Evangelist" for a year around 1838. Governor J. L. Wilson (1784 -1849), I see the Methodists slam him as an Universalist in a Methodist history book in the late 1800s, with an amusing story where he discovered his pastor in a local bar and had a drink with him. Good thing Wilson wasn't upstate with the teetotaler Universalists. The teetotaling Methodists weren't amused. I see in a mason book a letter from Wilson to Rev Albert Case. I suspect that all the Charleston Universalists were masons. and the 1827-1829 Charleston Trinitarian Universalist book, "the Evangelists Manual" is on google books now. Dec 2, 2007 "Father D.B.Clayton, southern Universalist missionary"
Just a real early note that on December 2, 2007, I will be talking to Outlaw's Bridge Universalist Church in the Outlaw's Bridge community near Seven Springs NC, about Southern Universalist Missionary Father D. B. Clayton. Whether this ends up as a lecture or sermon or preaching; I'm not yet sure. The topic should be inspiring - we will see if the presenter is as good as the subject matter. and what did you do to celebrate? two things being going on: research for others and allergy season. i have found -thanks to the book DEFEND THIS OLD TOWN; WILLIAMSBURG DURING THE CIVIL WAR (2002) - that J. L. C. Griffin's diary is in an archives - although now i can find ouyt where. this would help confirm his Universalist school in Magnolia, and would tell us more about him. Once when I visited an UU Church (on a homecoming Sunday), one of the things that was shared was a picture of a child standing with Quillen Shinn. This child became the parent of the person sharing (if I have the story right), but the big thing in this, is that having your parent meet Q. H. Shinn was indeed a big thing. "Our father: every morning is a fresh return of Thy loving kindness. When we sleep, the vigils of Thy love are 'round about us. At the threshold of this new day, may it please Thee to inspire us with lofty aims, so that we may rise out of our selfish selves into conscious kinship with Thee. Help us to know the mystery of Thy love, how limitless and all comforting it is and, animated by its sweet law, may we go out into this great and needy world with hearts to sympthaize, with words to cheer and with hands to minister. Then shall we know the Divine Nature of our faith, the joy of Christlike living and fully realize that love is the fulfilling of the law. First printed in the anthology "The Optimist's Good Morning". Somewhere around here, I have a book with a picture of Shinn preaching at the grove at Ferry Beach - with the altar big and clear with "God is Love" engraved boldly on it. This is what Universalism was in 1907 - Optimism, Love, and the joy of Christlike living. No matter what one's theological views, we sure could use more of those three things in 2007.
the American Civil War ended in June of that year in the then west - and Universalists were just starting to slowly rebuild. indeed the only thing is these issues concerning the southern Universalists was an exploratory meeting to determine if there was a need and desire for a General Meeting of Universalists, Northwest. J. D. H. Corwine of Kentucky was named to the committee on correspondence. (meeting held on September 5, I do not see that Corwine actually attended). This reinforces my feeling that Kentucky was really part of the Midwest Universalists. There was an ad in all issues for the "Mystic Star" a monthly Mason magazine by Chaplin and Billings. I suspect strongly that this Billings was the future Texas Universalist. there is a story (article?) by the late George Rogers - "An Old Settler's Narrative" - I have no idea if true or not, or a reprint or not. The saddest thing is a mention that George W. Depler, an Universalist from Fort Wayne Indiana, was trying to find his son, age 12 - who joined the military and had not been heard of since the Siege of Atlanta. G.W. Depler's wife was extremely grief stricken. D. B. Clayton: Top of the Pops - Again! Well, I can start off by saying that this year, it wasnt me looking for it! reprinting.....(there are lots of books like that). had churches named for him in NC, SC, Florida, and Mississippi. but Ive met folks who state they'd like to READ my copy! Just because I have been quiet, doesnt mean that I'm not studying Universalist history. Still gathering information on John Adams of Walton County Georgia (the man was aving Children in his 70s! Havent been able to prove that his second wife was the daughter of E.H. Lake), I found that C. F. R. Shehane's wife moved to Missouri after the war, she has a biography in the 1883 History of Jasper County, Missouri. So, I was "vacationing" in Washington DC, and had to figure out where to go to Church on Sunday Morning. Do I go to my host's church, or All Souls UU , or Universalist National Memorial Church? To be honest, I use an artifical line when I do my research. I still include Kentucky and West Virginia - and they are more a part of the mid-west history; I don't include Texas, and it definately has southern roots; Louisiana is a special case - and Missouri is also tied in to the mid-west. DC, I generally group with Maryland and Baltimore. So DC gets short shift here in this blog. But anyone doing Universalist history will see the work on the Universalist National Memorial Church. And the national money contributed to build this church. Built in 1929, It is impressive; French Gothic (it says here), big. I have no clue if it was worth the money - but it is grand - a fitting shrine for visiting Us or UUs. If my non-digital photos turn out ok, I will post them "here" at some point. it was a special service honoring Church volunteers, but sermons are posted on the church website. The current pastor seems enthusiastic - usually a good sign. The congregation seemed friendly enough to me (one admitted to reading the Universalist Herald). •"Inman Chapel — The chapel was built in 1902 by the Reverend James Anderson Inman, brother of “Inman” of Cold Mountain fame. Rather than the Baptist, Methodist, or Presbyterian Churches so typical in the mountains, Inman Chapel was a Universalist Church. This church advanced a socially progressive ministry that included many first’s for the county and even for the state: kindergarten, vocational training, summer school, handicraft classes, adult education classes, school for African American children, library, and the county’s first free public health clinic. Inman Chapel will be restored to its original grandeur after this year’s tour." The State Convention Of Universalists met with the Church at Consolation Sept. 23, Mr John Adams, the President in the chair. Prayer by Rev. Thomas Chapman. Sermons made the bulk of the work. " This particular John Adams was born 23 October 1820 in Walton County, Georgia. He died on 8 Feb 1904 in Walton County, Georgia, and was buried in Adams' Family Cemetery in the Gratis Community in Walton County. He married Martha ("Patsy") Shepard Camp on 17 October 1844. Martha (1814-1876). This was her second marriage and is first. She was a charter member of the "Center Hill Baptist Church" in 1867, which was near the Adams homeplace. She became a Methodist before her death. While a farmer, John Adams made shoes for soldiers in the 1860s. He married Martha Ellen Park in 15, November 1876. She is also burried at the Adams family cemetery. She was an Universalist. Adams was president of the Georgia Convention for several years. Andover-Harvard Theological Library nicely checked their ministerial files for me. and Clayton Memorial Church in Newberry South Carolina from 1923 to 1929.
the 1933 and 1934 Universalist Church Year books do list him as living in Newberry, but not as preaching there. I'm putting parts dealing with southern Universalists from Manford . an article on Col. Ingersoll and "Atheist Ranting" and a letter from Joseph Smith III, head of the "Reorganized Church of Jesus Christ of Latter Day Saints". This letter denying that his father ever presented a revelation about multiple wives to Brigham Young, as Young stated in 1852. this was a regular part of the III's views as expressed elsewhere. I did not know before, that Universalism was known in Kentucky as early as 1792 - I have not however, had A.C.T. 's book to refer to. who was tis Baptist, Universalist Clergyman?" R. H. Eddy was writing his Universalist history at this point. "The Resurrection -- Rev. William Hale, of Tenn. enquires -- "What think you as to the time that intervenes between death and the resurrection? Is the resurrection simultaneous, or progressive? (the response) We do not believe the spirit dies or sleeps at death, but its immortal existence in continued right on, uninterrupted. Its resurrection, we believe to be its Moral Exaltation which brings it into harmony with all that is pure. The time required to accomplish this grand result, may be longer or shorter in different cases. The original word, rendered resurrection, means elevation - exaltation, which we think refers to the final perfection of the immortal part of man. The gospel of Christ proposes nothing less than this for the entirety of the Adamic race." "North Carolina -- Br. D. B. Clayton writes in the HERALD: "Our Zealous sisters Jennie Hartsell and Mattie Newberry have resolved on building a neat little church a (sic) Magnolia. They recently started out with a subscription paper, and in about two hours had about $250 subscribed. The amount was increased to $300 before I left. They deserve success, and will, I believe achieve it. Many of the limitarian friends there subscribed liberally. among the number who subscribed for the purpose, was the pastor of the Baptist church there." "Georgia -- Br. A.G. Strain of Jackson County, has commenced preaching. He is a son of the late B. F. Strain. "Tennessee -- Br. Wm Hale has organized a church at Free Hill. "Alabama -- The membership of the Mossey Grove church is thirty six - so says the ATLANTA UNIVERSALIST. " "Preacher converted. - Rev A. J. Carley, of Louisiana , has embraced the truth and joined our church at Camp Hill, Still there is room. Come along Brethren of all denominations. Georgia --Our brethren in Walker county, think of building a temple. The same of the brethren in Jackson county. "Bro. Bowman writes that a Dunker preacher of Mitchell county, N. C.; has withdrawn from his denomination, and applied for license as a Universalist Minister." William Clayton Bowman was living at Bakersville, Mitchell County, NC - and as also reported in Manford getting ready to move to Atlanta, Georgia. So a new western NC Universalist preacher would be good. listed in one article as the grower of the biggest Tobacco crop in Mitchell County. He was fellowshipped into the Universalist Church in 1881. He was listed still in Bakersville in 1884, He wouldn't last long however. (now Church of the Brethren and often called Dunker) in Mayday Tennessee. (Bakersville to Mayday is about 40 miles, but it's mountain miles). He died in 1894 in Jonesboro TN. -- and first of all, I sure hope it was Manford and not me who typoed his name as "Grisby". The Universalist Register, at one time had him as W. H. Griggsby. W. H. Grigsby was born October 28, 1838 in Springfield Missouri. He graduated from "Canton Theological School" in 1868, and married Amelia "Mellie" Willard on August 17, 1868. In 1869, he served the Universalist Society in Frankfort, N.Y.
Four children were born : Mary Serena in 1870, Willard Channing in 1873, Belle in 1875 (she died one year later), and Ida Virginia in 1878. At which point, 1878 Grigsby wrote his booklet "Genealogy of the Grigsby Family". 1880-1920 in Washington DC, as a clerk for the US Goverment. He died somewhere in the middle 1920s. One of the Rev. Spencer Chambers in Guntersville Alabama, named his son: Willis Harrison Grigsby Chambers. (yes, there were two different Universalist Rev. Spencer Chambers in Guntersville, Alabama. Cousins I believe). Br. Henry Garst (Gabst? ), Dunker, of Washington county, Tenn., says he holds to the final restoration of all souls to holiness and happiness. We gladly welcome him to the joys of this great truth." as mentioned also, "Dunker" was the popular nickname for the German Baptist Brethren Church of the Brethren denomination. first I see that Garst not Gabst is a popular name in "Dunker" circles in east Tennessee. second I see that Washington County , TN is where Johnson City is. Johnson City has some nice bookstores as well as an Unitarian-Universalist Church and a Primitive Baptist Universalist church. So the seeds of universalism still exists there. and a little more looking (in THE BRETHREN ENCYCLOPEDIA), we find his history. Henry Garst (1820-1898) born near Salem Virginia; Moved to Tennessee in 1837. elected a deacon in 1845, a minister in 1859, and an elder in 1861. He visited all of the NC, TN, Kentucky and Virginia Brethren churches during the civil war. Served at Knob Creek near Johnson City. an entry on his son (a Brethren and college president) is also included. So Br. Henry Garst was a small u universalist - and never became a big U Universalist. Manford does an editorial about "Parson Deitzler" from Kentucky who preached a sermon about Universalists, including mentioning an unnamed town in Kentucky that Universalists were the only denomination. Deitzler went on to say that the town became " a perfect Sodom", and finally abandoned for it's wickedness. Manford, of course, asks Universalists to demand that he either name the town or admit that he lied. Now, I actually wonder I know some of this story..... Manford doesnt name the denomination of Deitzler other than not Universalist, Baptist, or Cambelite. I do know that Methodists had a story of Beverly Allen (the very early ex-Methodist missionary and church leader - best known to be the first person to kill an U.S. Marshall) after escaping jail in Georgia the second time, went to a lawless area of Kentucky and became an Universalist. Up to his dying hours (as the typical Anti-Universalist story went) when he wept to another Methodist missionary about how Universalism wasn't a good religion to die in. While there are holes in this story (Allen's children went with him to Kentucky and apparently were very active in the Methodist Church); I wonder if this might be the building block of Deitzler's story? "Alabama. - A church has been organized in Beebe. Br. T. F. Jones is preaching for it." I have to admit that I don't know where Beebe Alabama was (or is). "Kentucky. - Br. C. C. Connor, a young man of good education and natural ability, a resident of Burlington, proposes soon to enter our ministry and take charge of the Boone County Church. He has been urged by the friends who know his fitness to assume the responsibilities of the preacher, and will probably apply to the Indiana convention for a letter of license. Br. Connor is at present the superintendent of the Boone county Church and is doing a good job for the cause." Charles Chambers Connor was ordained in 1880, and in 1892 was living in Hamilton Ohio. The church in Burlington, Ky was founded in 1876. It seems to have been short lived. There is a letter in this issue from Rev D. Williams from Illinois; who mentions taking his church with him, when he went from "Predestination Baptist" to Universalist. This might be a good place for any researches checking the several (many?) Primitive Baptist to Universalist switch in southern Illinois during the late 1800s to start looking. "Tennessee. - Rev. William Hale who was licensed fifteen months ago by the Universalist Convention of Georgia, is an earnest yet solitary sentinel of our Zion in eastern Tennessee. He is busy lecturing and preaching as the opportunity offers. He reports much ignorance of our faith, and the necessity that exists of practical, earnest missionary work in that section." Georgia. - Rev W. H. Grigsbsy, who graduated in 1868 at the Canton Divinity School, is at the present time Superintendent of the Experimental Farm connected with the "State College of Agriculture and the mechanic Arts of the University of Georgia." He has recently issued a Report which contains a vast amount of scientific and technical information. It is unique among reports of this kind, in that the peculiar genius of the Superintendent runs through every line. Intermingled with phosphates and fertilizers, clearing, fencing, the science o culture, and the organic elements of plants, there is wit, poetry, philosophy and theology, making the report whose racy style will insure its reading. Mr Grigsby was for several years private secretary of Alexander Stephens and subsequently Secretary of the Georgia Senate. He has many friends among his old school-fellows who admired his brilliant and eccentric talents." Alabama. - Says the STAR: Br. B. Conine of Camp Hill, writing on business, has this word to offer: It has not been quite a year since I became identified with the Universalist Church. I yet find nothing to regret in the change. I love my Methodist brethren as well as ever, and often worship with them. The public mind is undergoing a wonderful change in this country, and the Macedonian cry, "Come and help us" is heard from every direction. " "Alabama. - Rev. J. O. Robinson, who debated some time since in Madison county with Rev. S.S. Roripaugh, is now defending the doctrine of the Restitution - so says the (UNIVERSALIST) HERALD. Br. E. B. Armes, of Garland, in a note says "Our cause is doing well on my circuit which includes Covington, Coffee and Dale County Ala, and Waterton county Florida"
Elias Ball Arms, ordained in 1853. Stephen Leroy Roripaugh ordained in 1856, in New York in the 1870s, moved to California by the 1890s. "Georgia. - Br. 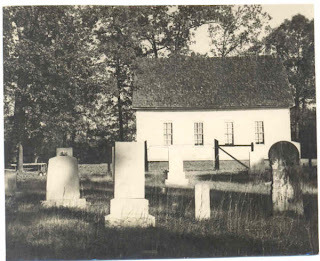 K. Strain writes that a Sunday-School has been organized at the Alford Chapel in Meriwether county." the brother of A. G. Strain, and son of B.F. Strain. He was helping his brother in Texas in 1893. This issue has an obituary of Rev. (Marmaduke) M. Gardner, who died on May 4th, 1879 at his home near McDade, Texas; after an illness of 8 days. He was born in South Carolina, moved to Mississippi, and then to Texas. He had been the pastor of Church in Williamson county Texas for 25 years. -- I recall that he was born in the Edgefield District of South Carolina, that he was converted to Universalism by the pamphlets given out by William Ives, a traveling salesman. two of his son-in-laws began preaching in the area the next month. "Georgia Convention will hold its annual session at the Universalist Church in Cherokee county, commencing Friday September 26th. "Alabama State Convention of Universalists, for 1879, will be held at Camp Hill, Tallapoosa county, commencing on Friday before the fifth Sunday in August, and continuing three days." "Tennessee - Our people at Free Hill hope soon to build a temple. Br. Henry Garst (Gabst? ), Dunker, of Washington county, Tenn., says he holds to the final restoriation of all souls to holiness and happiness. We gladly welcome him to the joys of this great truth. Br. Wm. Hales of Tennessee writes that he is actively engaged in the Sunday-school. He writes that some Dunkers in Tennessee have avowed Universalism. " Alabama - Br. J. C. Kendrick, though far advanced in life, is still eager to proclaim the great salvation. He is at work in South Alabama, and has good meetings; he lately went a distance of forty miles to preach. His regular meetings are at Mossy Grove Church. North Carolina. Bro. Bowman writes that a Dunker preacher of Mitchell county, N. C.; has withdrawn from his denomination, and applied for license as a Universalist Minister." Georgia. - Br. J. Parks writes that he expects to organize a church in Athens. Br. W. C. Bowman has been holding a series of meetings in the Capital building of Atlanta, to audiences that increased all the time. He organized a Church of eleven members, and thinks he will locate in Atlanta. " Dunkers are the nicknames for the German Baptist Brethren, who dunk three times for Baptism. Small u universalism was part of their doctrine in the 18th century and early 19th. "Alabama. - Sixteen were added to the Church at Camp Hill recently. Dr. Jas. O. Robinson, a late convert from the Baptist ministry, is preaching Universalism in Jackson county. " "Kentucky. - The new temple at Burlington is finished. It is a beautiful building. Georgia. - Rev. J. D. Cargill, who several years ago labored in Southern Kansas, and is now preaching in the South, recently organized a Society in Mitchell county of twenty-one members." That would be southwest Georgia. Manford mentioned an Universalist Hearld report in the 1870s of an unknown to me black Universalist preacher (ordained?) in Mississippi (I think Mississippi). the first in the south, Manford said. A nice Librarian at Harvard says they will look at Edgar Halfacre's ministerial file for me. I will report back when I do. My spouse (a former research librarian ) says all librarians are nice. I do read other stuff than Universalist material. I just got through reading " Unitarianism on the Pacific Coast" and "the Secret Six". I have to admit to being startled when I started reading Secret Six - a book about the Unitarians who funded John Brown's raid on Harper's Ferry. I had never heard of such..... i might review this book on the other blog, if I can get a good handle on what spin to take. Of course, now I really want to know what happened to Theodore Parker's brain? and I mean that quite literally. Reading some fiction too - on a noir kick, so reading some of the HARD CASE CRIME BOOKS; and I just picked up a Manly Wade Wellman's children's book I didnt have (I believe I have all of his fiction for adults). Wellman is best known nowdays as a southern fantasy-horror writer. But write lots of kids books and non-fiction. A realative of mine is mentioned in his non-fcition "Dead and Gone". Not sure I can figure out a way to put a story about Wellman's connection to Thomas Merton here (I will mention that I, my father, and my grandfather all three met Wellman). Edgar Halfacre served churches in Pensylvania in the 1920's, possibly bit earlier also. That may be where my grandmother knew him as she was in Penn at the same period. Which is exactly what state that I had found a note about him preaching in. Thanks so much for the that. I would be happy to hear what else you may know about him. Burried in the Clayton Memorial Unitarian Universalist Church cemetery in Newberry SC. yes, buried in the half acre of Halfacres. He was born to Perry and Hassy Halfacre on March 24, 1881. Graduate of Newberry College in 1907. Ordained as a Universalist minister in 1913. Living still in Newberry in 1918 (where he called himself a "minister of the gospel" on his draft registration form. He was described as medium height, slender built and blue eyes. by 1930 he was back in Newberry, preaching at the family church and farming. He remained single and in 1930 was living with two of his sisters and an Uncle. So what southern Universalist ministers were in the military? let's be lose in our defination, so we can include Giles Chapman, who wasnt an Universalist minister, but he preached the same doctrine and at the same church as did his replacement Elijah Lynch, who was an Universalist minister. These are the ones off the top of my head, I'm sure there are plenty of others. Manford's Monthly ran monthly (gee) from 1859 to 1895. During most of it's run, it was a two person publication - mainly Rev and Mrs Manford (atlhough after his death, she ran it for awhile before she sold it. The new owners kept it going for around 3-4 years or so). It was very much a one family show (and the only Universalist magazine with the editor's name on the cover), and I suspect that what wasnt by the editors was taken from other publications. It has fiction - incuding some by Dime Novelist Sylvanus Cobb Jr, articles by other Universalist ministers - including the man who saved California for the Republic: Starr King, and articles on Manford's debates and preaching. A little on southern Universalism (he had ideas about preaching down south), but not much. So not something I generally talk about here. Currently I own about 4 years of this 36 year publication - in about two weeks I will own 16 of the 36 years. Looking at holdings at some libraries, I dont see an archive with more than what I will have. Will i be the owner of the largest collection of Manford in the nation? and if so, what should I do with it on my (hopefully not soon) demise? "Bro. S. M. Simons received letters of fellowship as a preacher of the gospel, at a convention recently held in Fearlaville [actually Feasterville], S. C. Bro. S. had previously been ordained by the Baptist denomination, but could no longer conscientiously preach the doctrine of endless misery. He has embraced a better faith, and we trust he will zealously labor in its dissemination." "Bro. N. P. Walker was ordained at a convention of Universalists, recently convened at Fearlaville [actually Feasterville], S. C. Sermon by Bro. Fuller. Text: "Preach the World." This is information is a breakthrough, both for slightly more knowledge on Simons (who lived near what is now Aiken), but more importantly on Walker. Walker is an important person in SC history - because of his founding of the South Carolina School for the Deaf and Blind (still in existence) two years later. Walker is generally considered to have been a Baptist minister, and I dont suggest (at this time) that we wasnt prior to, or post the 1847 date. Too much living in the past? www.uu-ing.blogspot.com, but thought I would mention it here too. Bellville is just south of Mansfield and north of Columbus Ohio. I will be attending and this will be my third convocation. Sunday worship service is open to everyone. So if you've never seen a Church full of Universalists, this would be your chance. and they include UC schedule. Hmm, pardon the lull in the action here. There's been a little bit of talking about Charleston SC Universalist Historical Society mailing list. Talking about Shecut (I didnt mention I picked up volume one of his novel, did I?) and the address of the Church was given, and that the money was invested when the building was sold. You dont have to be a member of the UUHS to be on their email list (of course membership has its privilege). haven't stirred up those boxes of notes to see what comes up. but Ive been researching my mother's family in Ohio and Pa - and have now gotten her a breakthrough back to German in the 1740s. She's been wanting this information for 60 years (ever since the DAR stuck their tounge out at her and said "prove it"). We knew about the Rice family and their bravado -spies for Gen Washinton - but we just couldnt prove that they married into the family (even though a brother and a sister married a sister and a brother). Probably still cant prove it. I couldn't join the DAR anyway, and could work on the SAR from my dad's side of the family if I really wanted to. but my mother is in poor health, and a picture of her grandfather's grandfather, and stories about him were a little tonic for her. The Universalist Convocation will be within 33 miles of the old Rice farm in New Pittsburgh (Wayne Co) , Ohio; so you can bet I will put my feet on the ancestor's soil, when I go to the UC in six weeks. I've been doing some mild research into Gov Benjamin Tillman of SC, who's father died when he was a small child. BT got his father;s books, and I've seen quotes about his reading his father's copy of Ivanhoe, etc. However his father also had a very large Universalist library and was an Universalist himself. on microfilm! Did I ever mention how much I hate microfilm? Everyone once in a while I like to post that I am still working and still digging. I could certainly go into a discussion of if the 1880s-1910s were the golden age of Southern universalism or if the 1830s-1840s were the golden age. However, this would be one of those fun but unwinable "How Many Angels can dance on the head of a pin" debates. With the mention of the decline starting in the 1970s - plays into one of my current theories about the failure of organized universalism - that it doesn't flourish well in a society steeped in cynicism. And certainly deeprooted cynicism was one of the core features of the 1850s-1870s, 1920s, and 1970s-now. How can one care or think about Universal Reconcilliation or God is Love, when actually God is Dead, Nobody Cares About You, it's everyman for himself, and watch your back. This sort of starts to push away from the core topic of this blog (history) - (the 1970s cant be history yet, can they?) but does bring up to me one of what I feel is an important cores of Universalism - the optimism of knowing a loving god - the optimism that even those cynics will eventualy be optimistic.....No wonder Universalism didnt grow past the 1910s!